Basketball / Which NBA player is skipping leg day and its showing in their game? Politics, News, & SHeeT! / Why are Millenials so stupid? Does he actually have some skills though? Mixed Martial Arts / How to body slam someone for self defense? In case someone decides to bully you or sucker punch you or punch your face, is there a way to body slam them or get the fight to the ground? I am not a figher and i don't punch hard at all, however i have a lot of core and leg strenght, and a lot of back strength. 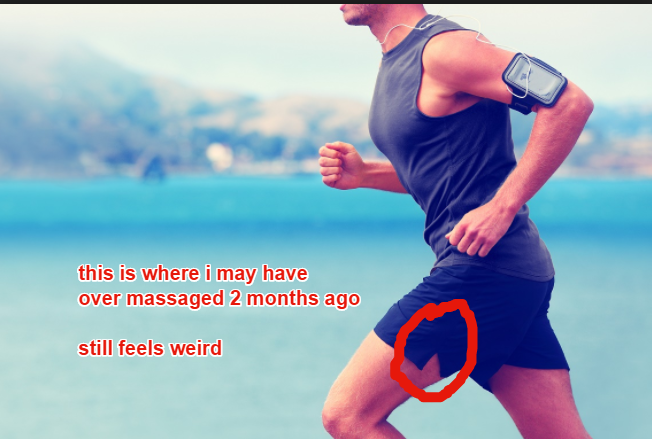 My heel strike when running or landing from a jump causes my heel and achiles and other to rub against each other it seems and has some pain. For example when i jump and land my heel hit the ground first sometimes causing something to rub against each inside my acchiles and such. i definitely have it now. my right knee aches to even do bodyweight squat. how should i train now? Injury, Prehab, & Rehab talk for the brittlebros / pain in the calves from paused squats? So i have been taking the double dose of recommended pre workout supplement. Is that an issue? Strength, Power, Reactivity, & Speed Discussion / which is better for explosiveness? which shows more display of strength, 4 sets of 5, or 1 set of 15? Basketball / What really happened here? Nutrition & Supplementation / Pro Basketball players going vegan? So about 2 months ago, I wanted to release tightness in my quads because i squat a lot. A hard foam roller was not enough so I used a 40lb kettle bell and started smashing against the side of my right quad, wasn't painful but i did it very hard. Few days later there was some tenderness especially when squatting heavier. It got a bit better after a month but never fully recovered. Now it's 2 months and still that part seems uncomfortable, extremely sore, and tender.